Give the gift of relaxation and watch her worries and cares just melt away. 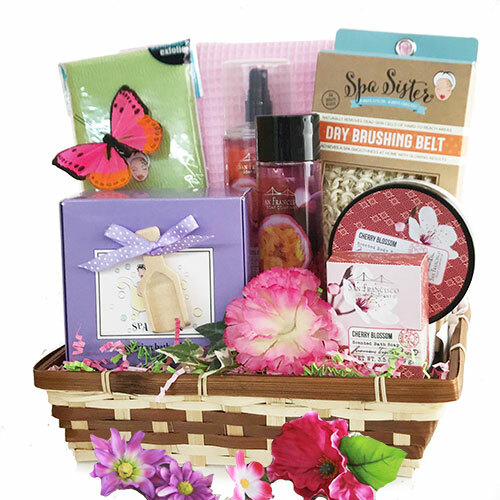 Inside this willow basket she’ll unfold the scents of lavender and cherry blossom paired with an outstanding collection of complimentary spa accessories. Cherry Blossom Body Butter 8 oz.